A team of researchers has devised a method to calculate the number of photons that have been produced in the entire observable universe since its creation. When we look at the sky, we can distinguish a diffuse radiation that bathes the whole universe in almost all wavelengths. 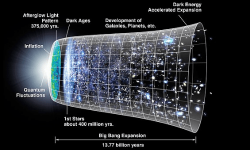 This is the extragalactic fund. It consists of light from all the stars and galaxies that have existed since the first ages of the universe. If the space is almost entirely empty of matter, this void is constantly traversed by photons traveling from billions of different sources, in all directions. The extragalactic fund is very diffuse and difficult to observe. It is however interesting to estimate the total quantity of photons it contains because the extragalactic fund constitutes a non-negligible part of the energy density of the universe. The international team of astrophysicists has used the FERMI observatory to observe more than 700 blazars. Galaxies most often host in their center supermassive black holes that release jets of very energetic particles. These jets are sometimes directed towards the Earth and it is the observation of this phenomenon which is called blazar. Blazars emit radiation in all wavelengths. They are so powerful that they can be detected even when their light has traveled for billions of years. 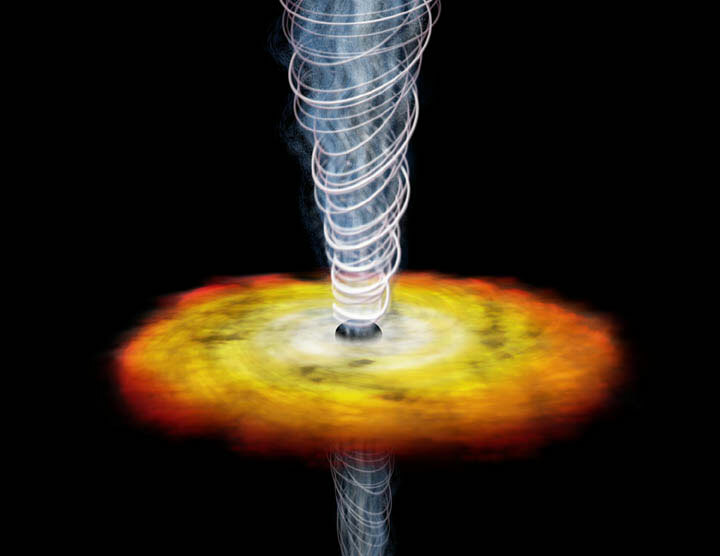 What is interesting is that the gamma rays emitted by the blazars interact with the extragalactic fund. Indeed, as they travel, the gamma rays from the blazars are gradually absorbed in collisions with the photons of the extragalactic fund. 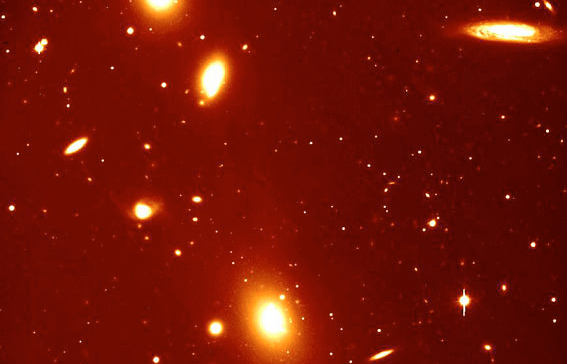 By observing a blazar located 1 billion light-years for example, it is possible to measure how much of its light has been absorbed, which makes it possible to estimate the density of the extragalactic fund located on its path. The study carried out using the FERMI observatory goes even further. The research team observed blazars located at a wide range of distances. This made it possible to estimate the quantity of photons contained in the extragalactic fund. 4×1084 photons would have been emitted by all the stars contained in the observable universe since its creation. Beyond this impressive number, this study makes it possible to better understand the history of star formation in the universe. Indeed, by comparing the light of blazars more or less distant, the team at the origin of the study was able to note which periods contributed the most to the extragalactic fund. We can thus see that there was a peak in the formation of stars about nine billion years ago. Since then, the universe seems to be less and less fertile. In the same way, these measurements make it possible to learn about the activity of the universe during its first billions of years. Ideally, the team at the origin of the study would like to trace this type of measurement as close as possible to the Big Bang, which would be an opportunity to draw a complete history of the formation of stars in the universe.